Diego Costa has made up his mind to leave Chelsea amidst the striker crisis faced by the London-based club. 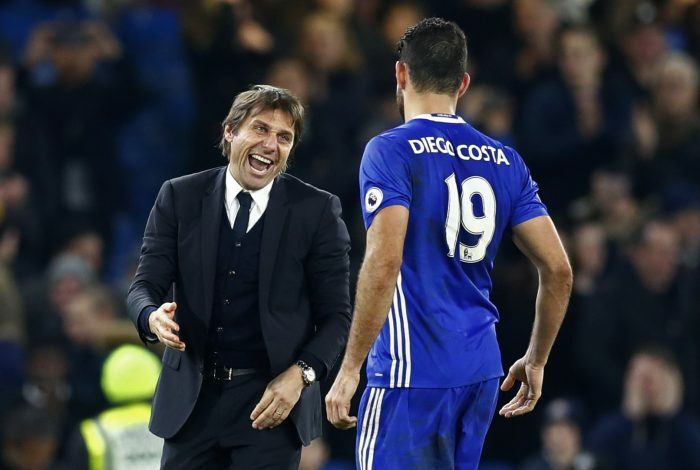 The latest developments in the Romelu Lukaku transfer saga and Diego Costa’s anticipated departure have left Chelsea craving for strikers. Lukaku, who was Conte’s first choice forward, has reportedly agreed a £75 million move to rivals Manchester United, thereby leaving Chelsea’s transfer plans in lurch. Meanwhile, Telegraph reports that Diego Costa has started to say his goodbyes to his Chelsea teammates, with a move to his former club Atletico Madrid on the cards. However, even if Costa’s transfer to Atletico goes through, he won’t be able to move to the Spanish club before January because of the transfer ban imposed on the club. The Spanish international was earlier informed by Conte that he wasn’t in the plans of the Italian for the upcoming season. Chelsea would find some hope in Everton’s latest comments, where they have indicated that no agreement has yet been reached with Manchester United. Conte might go for a final push to sign the Belgian, before switching his focus onto other targets like Alvaro Morata, Andrea Belotti, and Alexis Sanchez. Morata was earlier believed to be in advanced talks with Jose Mourinho’s Man United, but an agreement was not reached with Real Madrid. And now that the Red Devils have shifted their focus onto Lukaku, Conte might look to sign his former Spanish understudy to spearhead his attack next season.